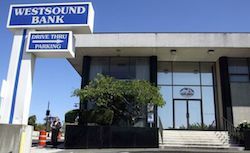 A developer linked to the collapse of Bremerton’s Westsound Bank was sentenced to five years in prison Friday and ordered to repay more than $10 million fraudulently obtained from the bank. Aleksandr Kravchenko, 36, pleaded guilty in March to conspiracy to commit bank fraud and filing a false tax return, according to the Seattle U.S. Attorney’s Office. His wife, Galina Kravchenko, pleaded guilty to filing a false tax return. She was sentenced to five years in prison. The Kravchenkos engaged in a scheme in which they submitted dozens of false construction loan applications to Westsound Bank, working in collusion with a loan officer. Investigators determined the bank lost $10.7 million through bad loans as a result of the scheme. The Kravchenkos diverted money from the loans for personal use, and collected fees. 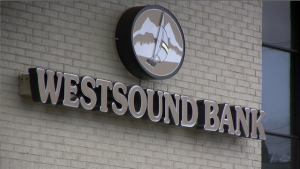 Westsound Bank failed in 2009, costing the FDIC’s Deposit Insurance Fund $106 million. Kitsap Bank took over Westsound’s operations. The FDIC sued 11 former Westsound Bank officers for gross negligence in 2011, and settled the case a year later. The Kravchenkos fled to Moldova in 2009. Galina was arrested in Moldova in December and extradited to the United States. Alkesandr returned to the U.S. in February. The couple were sentenced in U.S. District Court in Seattle.